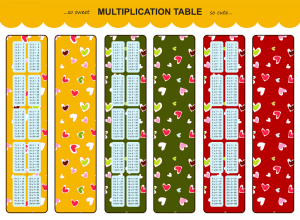 Why not give your students Times Table bookmarks. Download this image and print onto card. Cut out the bookmarks and fold to make double sided. You can glue the sides together. Better still, ask your pupils to make a class set for you. You have to be a member to download but it is totally FREE and only takes a moment to join. 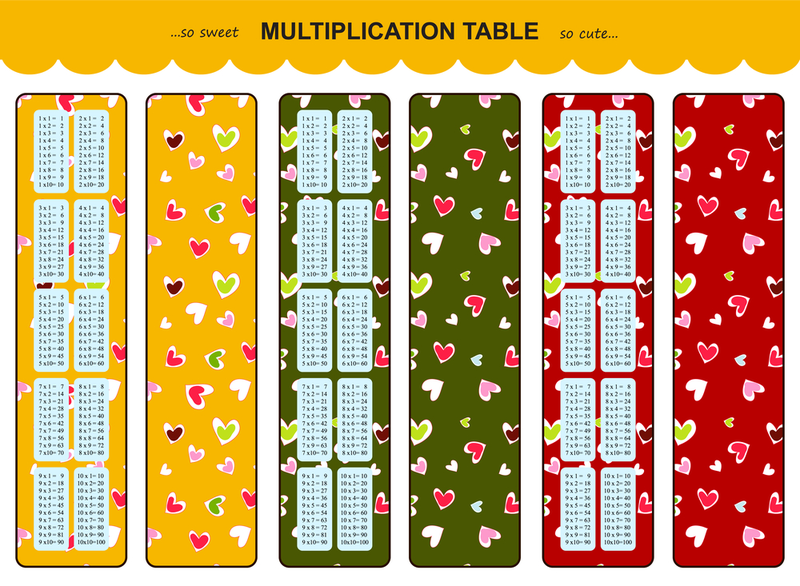 If you like these bookmarks we have other versions free to download from our downloads page.